Mangaluru, Mar 4, 2015: Karnataka State Pollution Control Board has directed Mangalore Refinery and Petrochemicals Limited (MRPL) to install wind breaking zinc sheets above 20-feet height over its coke and sulphur unit to stop the ill- affects of fly ash immediately. Speaking on the sidelines of ’Parisara Mitra school’ award conferring ceremony at the zilla panchayat here March 3, KSPCB Chairman Vaman Acharya said that the coke and sulphur units are causing air pollution at present and would cause water pollution as well in monsoon. In future, permission can not be given to conduct such activity in open space, he said. Vaman Acharya said:" I can warn company if I receive proper complaints from public, but I can not instigate people. Though few complaints have submitted through the Deputy Commissioner, I want a local study about the pollution, is there any increase in carbon particles in surroundings etc. and should be authenticated by sample collection. 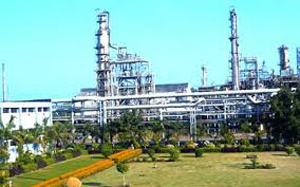 I am ready to take action against MRPL if public pressure increases."